Vocal Planet featured vocalist Ellis Hall is a multi-instrumentalist virtuoso and dynamic vocalist who has performed and recorded with a literal Who’s Who of musical elite including Patti LaBelle, George Benson, John Mayer, John Legend, Herbie Hancock, The Temptations, Earth Wind & Fire, The Spinners, Natalie Cole, Michael McDonald, Ray Charles, Brian McKnight, James Taylor, George Duke, Huey Lewis and the News, Bo Diddley, Taj Mahal, Bobby Womack, James Ingram and Stevie Wonder to name a few. 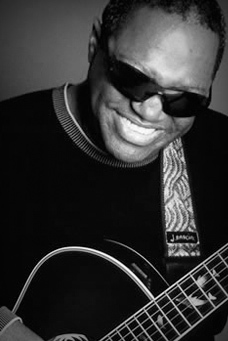 Ellis joined the soul-stirring hit group Tower of Power as lead vocalist, keyboardist, songwriter, arranger, and producer and enjoyed tremendous success as a member of the multi- platinum group The California Raisins. Introduced as his protégé by none other than Ray Charles at The John F. Kennedy Center for the Performing Arts, Ellis has returned to the Center several times, and regularly appears with major symphonies. He appeared with the LA Philharmonic in its 75th birthday tribute to Ray at the Hollywood Bowl as well as on the BET/Concord Records Television Special “Jammin for Ray” and has the distinct pleasure of being the only other artist besides my Mr. Charles to be signed to the Ray Charles Label.